Peregrine Falcon, male: presenting his lag bands! March 2, 2015 in Peregrines at 250 Canal St. The male peregrine was seen this morning in beautiful light as he perched on an upper ledge inside of the 250 Canal Street complex. 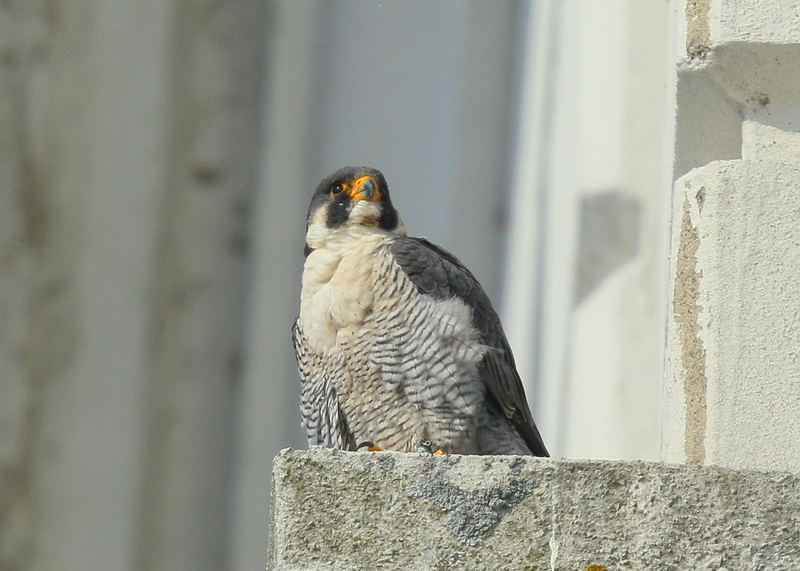 This location has served as an alternative nest site for the pair of breeding peregrine falcons. They elected this location 2 years ago and were then had to be moved to a makeshift rooftop location due to space limitations around original nest site. at the moment, no way of knowing whic=h nest site will be selected for the 2015 nesting season as the male has a new mate this year!